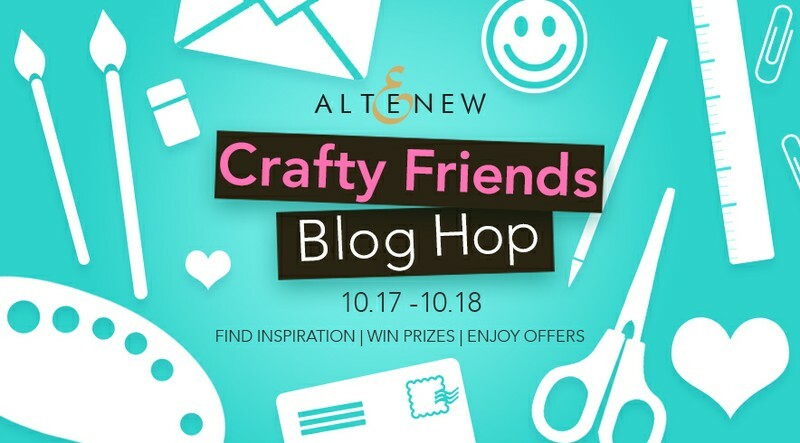 ... to our crafty friends blog hop. You might have come here from Create & Craft TV. Now it's my turn to inspire you with a cute accordion fold mini album. 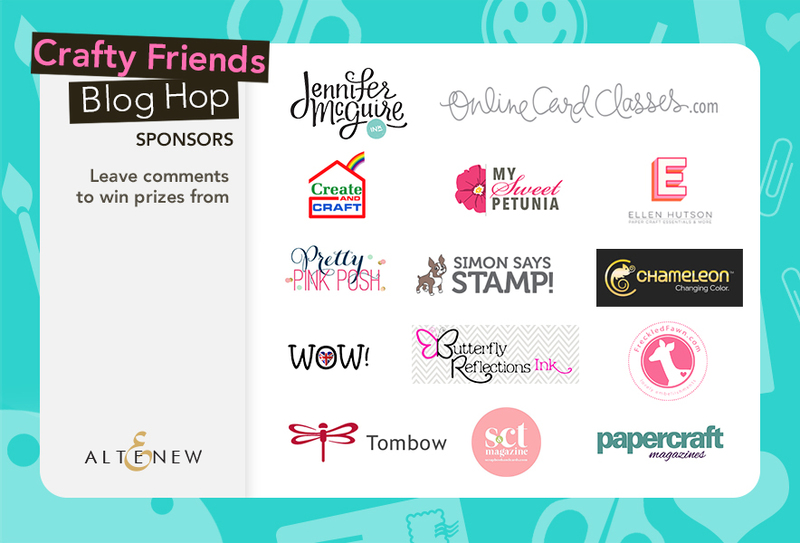 Why you should hop along: In addition to loads of inspiration, you can win awesome prizes when you participate in our blog hop. You will find more information about prizes and how to win further down on my blog. Let's have a look at the accordion fold mini album I created for today's crafty friends blog hop. It is filled with memories of special moments. Let's unfold the accordion mini album. 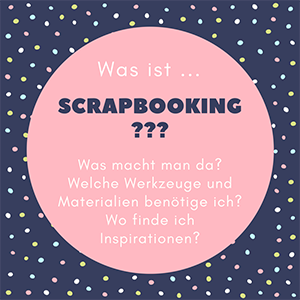 Amongst other creative things, you will find two pockets, a flap with a photo inside and some nice embellishments from the Reflection Scrapbook Collection. When you open the accordion mini album, different sets of double pages will appear. I incorporated different interactive elements. The flower on the left and the tag on the right side can be lifted. 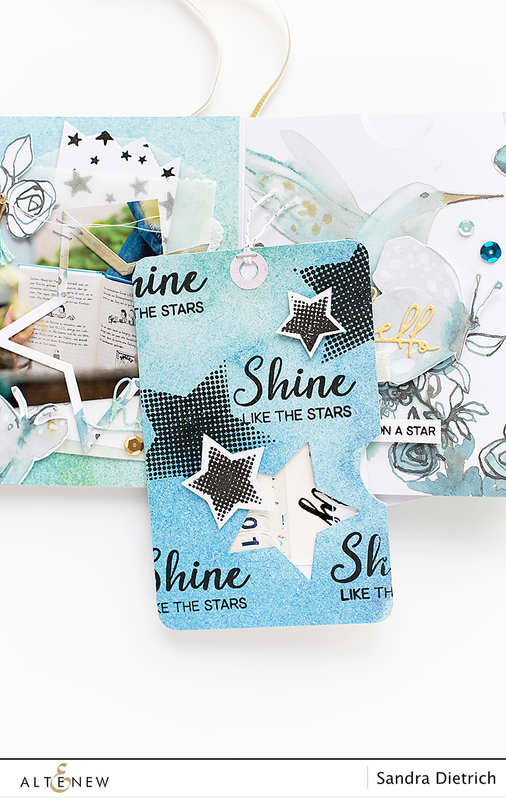 I die-cut two windows with star and circle dies and backed them with transparency foil. I added confetti, sequins, a fuzzy-cut star and a die-cut word underneath the foil. I made a card with a square cut-out window back in March 2014 (click). Just to show you that you can use different forms and shapes to create see-through windows. You can use different shapes to make cut-out windows. It's a fun effect. Stars, circles, rectangles, flowers, leaves... Whatever you like. There are many possibilities. Let's do it :). And I added a pocket with flaps. It can be closed with white thread. I stamped onto the pocket with wonderful leaf stamps that can be layered for a nice effect (Layered Laurel Stamp Set). I used different shades of green (Crisp Dy Ink Green Fields) to stamp the leaves. I would like to point out some more details of the mini album. There is a hidden pocket, some cut-out windows, stitched and stamped accents and cute little things like confetti and sequins you can discover. 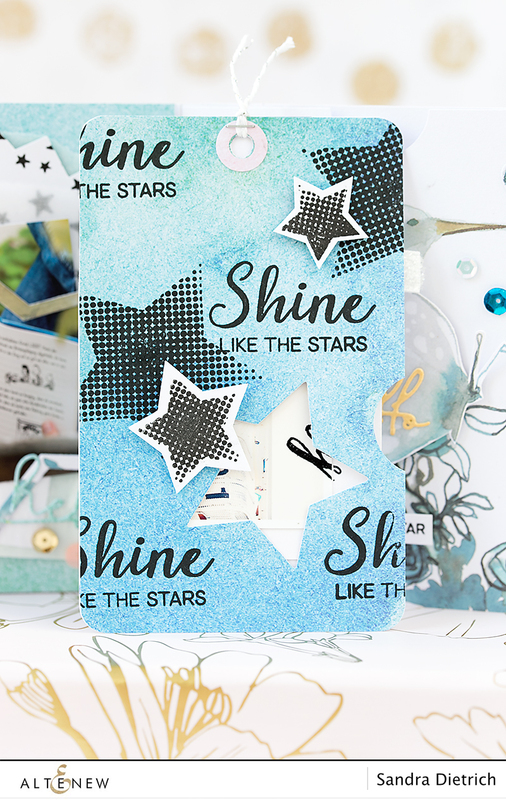 I used different stamp sets from Altenew, including the Happy Dreams Stamp Set and the Halftone Stars Stamp Set. 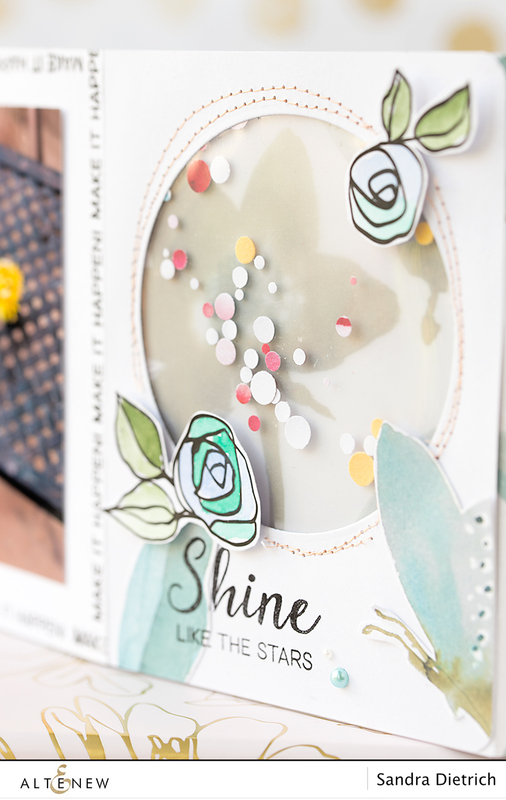 In addition, I used different dies, including the Halftone Circles Nesting Die Set, Signature Words Die, Script Words Die Set and the Ori Kami Die Set. FREE U.S. shipping with code CRAFT and $5 OFF international shipping with code FRIENDS at checkout. Offer valid from October 17th at 12:01 am EDT through October 19th at 11:59 pm EDT. Not valid on prior purchases. Cannot be combined with other promo codes. I would like to end this post with a short walk-through video featuring today's accordion fold mini album. Thanks for watching :). Have a wonderful day, yours Sandra. Next stop on your hop is over at Pretty Pink Posh. Love the beautiful soft colors. 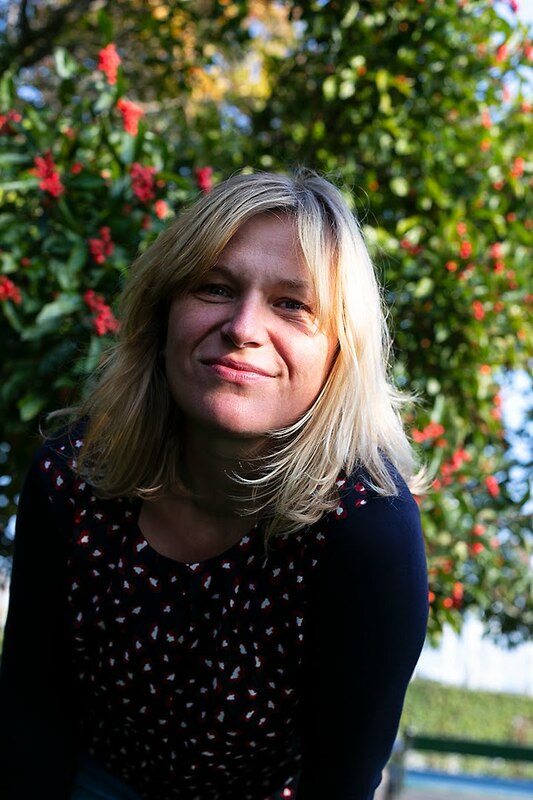 I have always wanted to do some kind of album but the idea always seemed to daunting. The idea of a mini album is something I never thought of so thanks for the great idea. Oh my goodness... what a beautiful gift this would make! I can't wait to watch the video! So so cool! Wonderful album with so many elements! Thanks for the video! This is so amazingly creative. 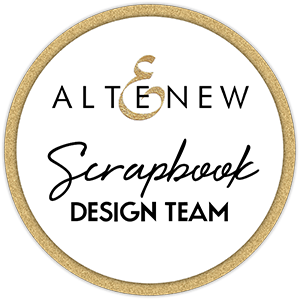 Your designs for each page really flow together to create a beautiful story. How pretty. Love the design and layout of all the pages. The tags and hidden messages are a great addition. Thanks for sharing. WOW what a wonderful mini album, just layers and layers of goodness! With stamps, why buy printed card stock. You did an amazing job. This project left me speechless. LOVED ever bit of it. Thanks my crafty friend! Thank you for the video at the end of the post. I was seeing so much goodness, I was losing how it all came together. Superb. Very lovely album. Thank you so much for sharing. Wow! What an amazing project! I love this crafting community and the fact that it can bring people together from all over the world. I have "met" some wonderful friends in places like Florida (USA) and even New Zealand! Gorgeous album. What a beautiful project! What a gorgeous gift! I am always amazed at the amount of work that goes into a mini album. Yours is beautiful! 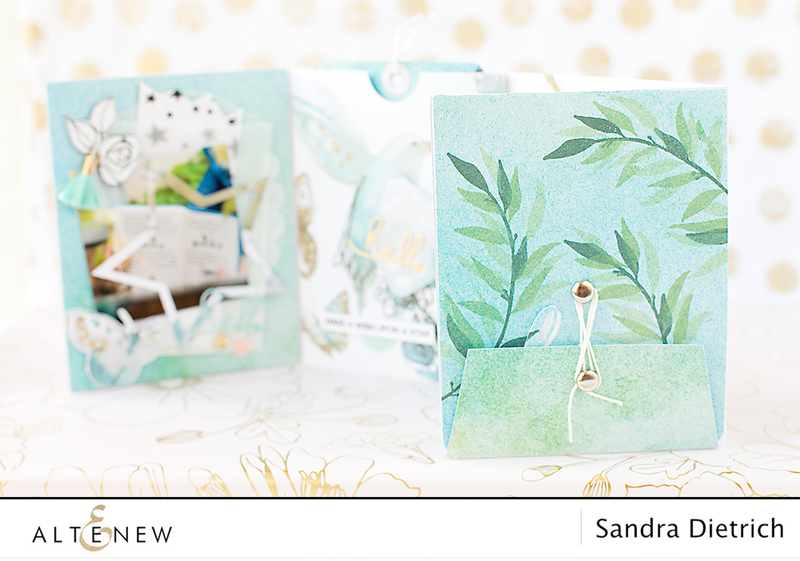 what a fun and lovely mini album, Sandra - love the colors you chose! 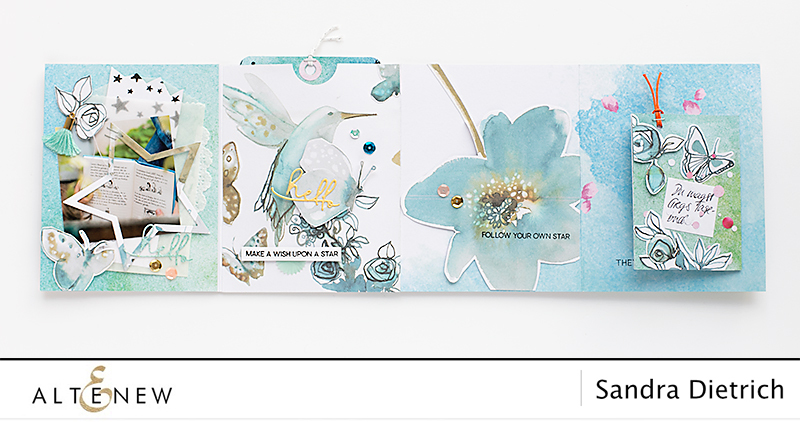 I Love the blues and softness of your cards! They are so clean and Beautiful! A stunning mini album, you certainly are very talented. Thank you for the inspiration. Just stunning! What an amazing project! I love the crafting community and that it can bring people together from all over the world. Your mini-album is awesome in design, color and content! It is a work of art with lots of little hidden surprises! LOVE it! What a fun mini album. Wow, this is such a pretty and fun little album. I love the cut away windows. I'll have to try that. Your accordion album is lovely! I haven't made one in years but I am certainly inspired by this beauty! Thank you! What a lovely gift! Love all the details. Wow. You put so much effort into this and it shows. It is completely gorgeous and inspiring. This is a beautiful, creative album! I love all the details you added to it to make it even more special! Wow! These are just so beautiful! Thank you for the amazing inspiration! Thats a beautiful fold accordian mini album. I love all the color schemes. What a stunning mini album!! I love that you made it so interactive!! Amazing, each page is so intricate and beautiful! So love the color theme you carried throughout the album. What a lot of work, with such a nice outcome. I love how you used the color as a theme carried throughout the album. And such a lot of work for a beautiful outcome. Such a light, bright, and beautiful mini album! I love all the details! I love your color theme! A lot of work for such a nice outcome. OMG!!! Your creation are Spectacular!!!!! Amazing mini album, love this idea! Oh my goodness c!! This is such an amazing mini-album !!! Wow, wow wow, this an amazing project love the colours and the layout I love every single detail on it.. I have been wanting to create a mini accordion album for a while now and this post is the inspiration I needed to do it! It is stunning and I love all the interactive elements! TFS! This is amazing! Each part is so creative and unique! Love this! Each is so creative and unique! 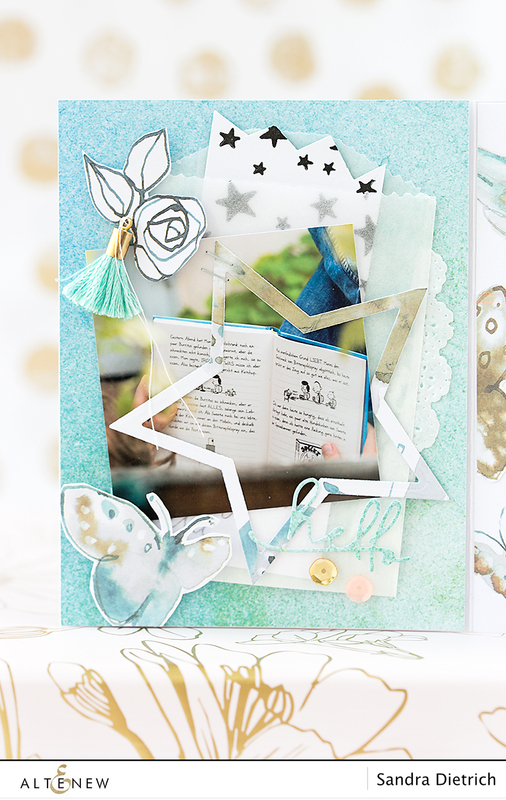 Beautiful mini journal, LOVE the soft blue colors and all the details like pockets, windows, confetti, sequins, oh so beautiful! 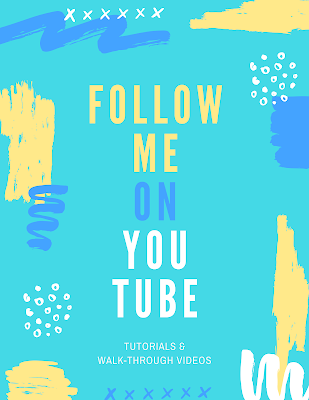 I appreciate the video too, thanks so much for an awesome tutorial. Your mini album is awesome! So many hidden surprises. Thanks for the inspiration. I love the mini album. It's gorgeous! What a clever idea for a mini album. Love the colors you used on yours. Thank you for sharing. Wow...the mini album pages are gorgeous! What a cool mini album. Oh wow, this is awesome! Love it! Ooh my how amazing is that gorgeous mini album!! It is packed with lovely surprises!! This is beautiful and a real work of love! I am really loving the colors and elements. This is just beautiful!!! Love the soft colors. I love what you made and the soft colors. 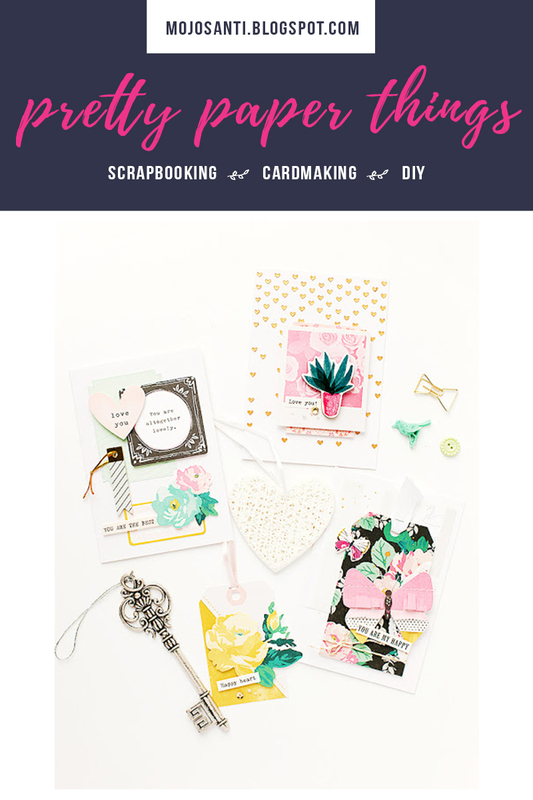 That is lovely- I'm a card maker and scrap booking overwhelmes me a little but I think this little accordion book is so sweet and doable. Wow, this is so lovely, I absolutely adore the colours you went for! Very nice! I love the color scheme and all the layers. Thanks for sharing! Really beautiful projects. Thanks for sharing. Your project is beautiful! Thanks for inspiring me! Magic! Oh, my goodness...I am overwhelmed at the extent of this project. So many lovely elements. Myfavorite is actually the simplest: the green leaf sprigs. The green with the blue background is just instant calm at a moment when I am in a rush to get to an appointment. I am leaving this page up on the computer so I can come back to see the video. Thank you so much. I am inspired (and a little bit in awe!). Wow! This is so beautiful! 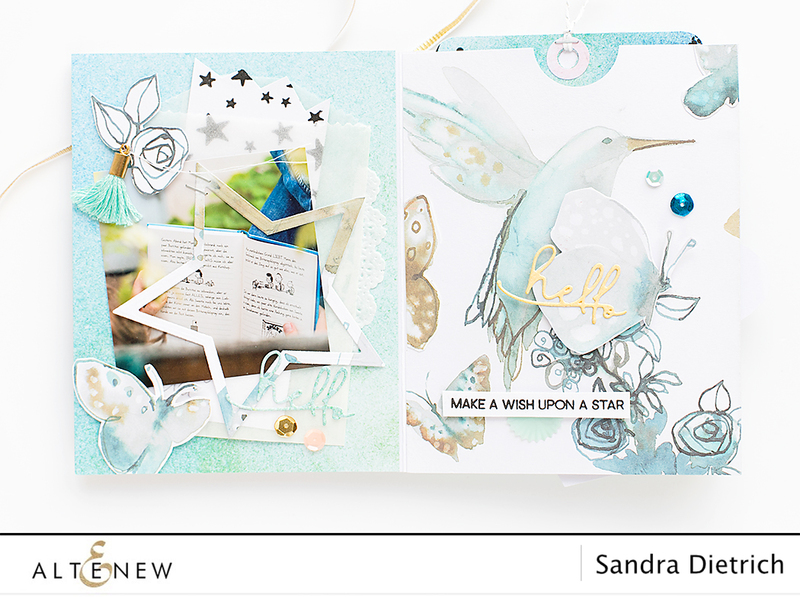 Love your accordian album with all the layers of gorgeous blues and magical beauty! wowza! Amazing project! Black on Blue really pops! 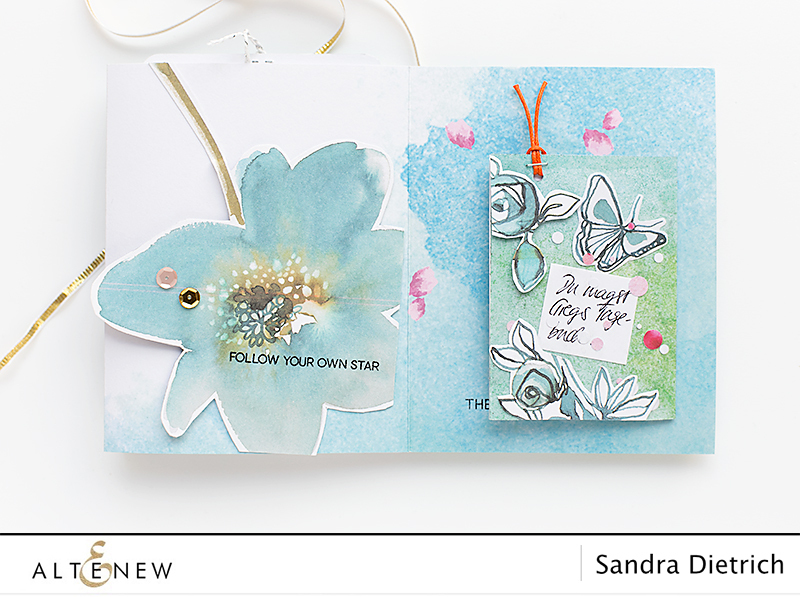 Oh Sandra, how beautiful and well thought out! What an awesome album! Well done! Gorgeous mini album with lovely details. So very creative! Just lovely! FABULOUS! There is nothing else to say that hasnt been said. I will be back to see it again! What a wonderful gift for a very lucky person! I would never have thought to make the accordion book using that awesome blue color on all the pages. It is absolutely amazing - each page different yet related to the others in the coloring. So pretty. Wow! Beautiful, lovely, adorable! Every page is spectacular! Absolutely gorgeous. I just spent about 20 minutes looking at your photos. There are so many wonderful details. Love the soft, pretty hues! This is such beautiful work!! Sandra, these are great projects. Love that mini album. You've just caught me up with it. Got to give this a try. Thanks for sharing it on this blog hop. Wow! Love the soft, gorgeous colors. Wow--great details on this pretty album. That is just the cutest thing ever! I would love a tutorial on how you actually put the pieces together. So pretty! 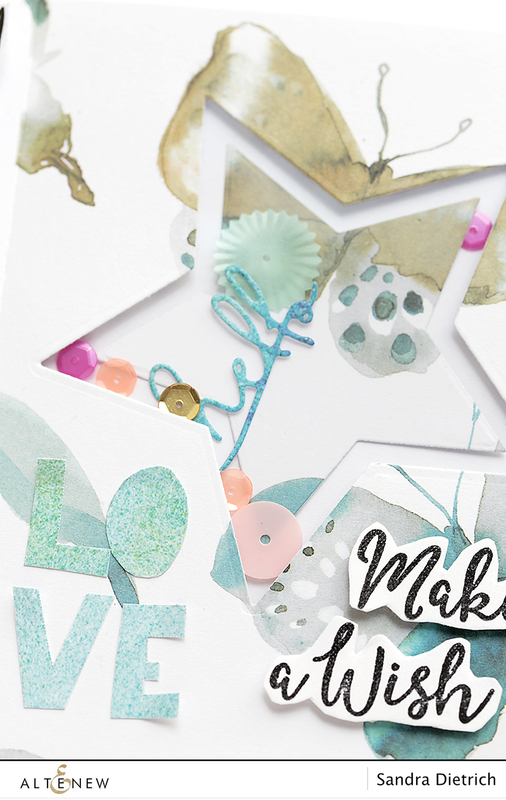 I love the different shaped window cut outs, the colors, & uniqueness your project! Wow! Such an amazing project. Gorgeous details! Awesome project and stunning colouring!!! Love this absolutely gorgeous green and blue combo! I think your projects are unique and beautiful - You've put a lot of work into them. I got some ideas I will be utilizing in some future projects - thanks. So much detail on this album! Simply stunning! Wow, wow, WOW! Stunning mini albumn! I love the colors you used on these projects -- that blue is perfect! Love this! what a beautiful piece! Simply gorgeous!!! Love the colour scheme!!! Absolutely amazing! 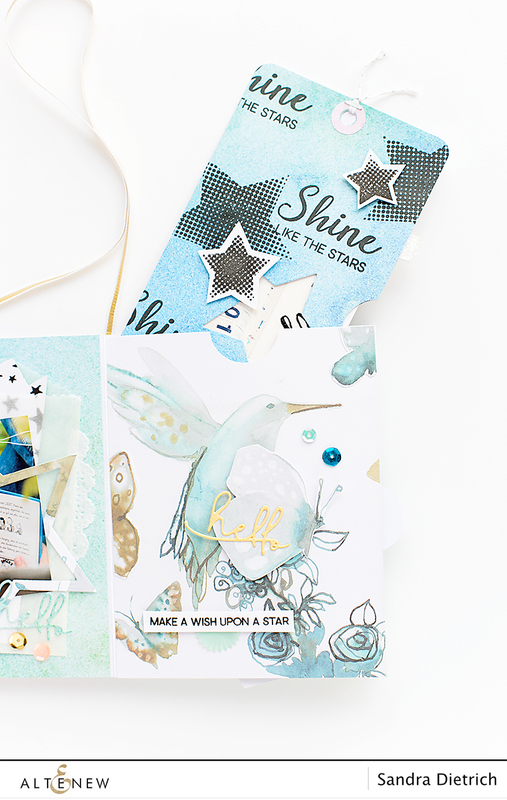 I think the Follow Your Own Star page is my favorite, followed by the hummingbird! Oh wow, this is a great mini-album. I'm so glad you made the video -- it shows even more how beautiful it is ! Thank you for sharing your creativity !!! This is crazy cool! I love it! I've never heard of mini-albums before. This is excellent! And this example is so expertly done. Excellent inspiration, thank you! Wow!! You were a busy woman!! What a gorgeous little album! So much to look at and enjoy! This will be treasured for a long time! So creative. Love the fold outs! Thank you for granting my wish, by sharing a video of your project too! SO LOVELY!!! This mini album is amazing. What an awesome gift. Danke! Very pretty. Thanks for the inspiration. This a very cool project. Thank you for sharing. Wow! So many beautiful and intricate details! Thanks for sharing. Beautiful mini album! So many gorgeous details inside, and I love the colors you used! Lovely creation! What a great project. Thanks! WOW!! This is just beautiful. I LOVE the hummingbird! <3 I'm speechless! What a truly amazing mini album! There is so many wonderful things to look at -- I will definitely be looking at this again. 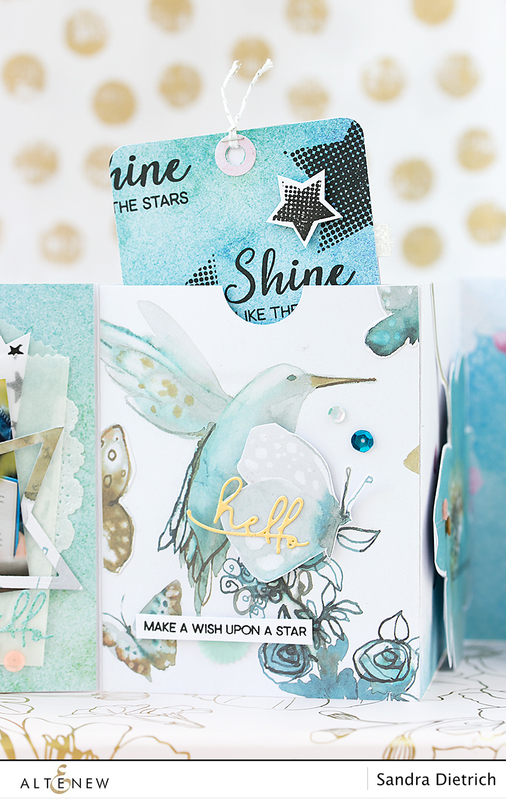 I love the colors and all the stamps you chose especially the gorgeous hummingbird! Thanks so much for the inspiration! What a awsome album, like the way you can put on every side and page something nice. Thanks for al your time and effort to make and show this to us. Gorgeous album! SO many beautiful pieces and I love the color scheme you choose. Stunning job! Wow this is sooo beautiful! I love all the gorgeous details and the colours! Nice to meet you, Sandra. Your mini album is a dream. And dreamy. Such a cute mini album!!! I loved the color and different techniques you used!!! What a sweet album! Love the cut outs. Beautiful mini album! I love all the detail! Beautiful! Love the pretty colors. Wow, what a master piece. You are very creative. What a cute mini album! What a fun idea. What a spectacular project. So many beautiful elements. Thanks for sharing your fabulous inspiration. I love the soft colour scheme you have used. What a fantastic mini album! Great job. Beautiful colors. Such elegant album. Wow! These are so awesome! Love your fun and eclectic style! What a beautiful idea for the mini album! The colors are just stunning and just pop! THank you for sharing! This is wonderful!! So many neat elements and pages. I've seen a few that people have made and have always wanted to make one but the thought of it is also a little overwhelming for me. Maybe after seeing this and with your video I'll give it a try. Thanks for the inspiration! Absolutely gorgeous, lovely colours and design.